latest luxury apartment project, ‘Lex’ in one of Melbourne’s most famed millionaire’s rows, South Yarra. 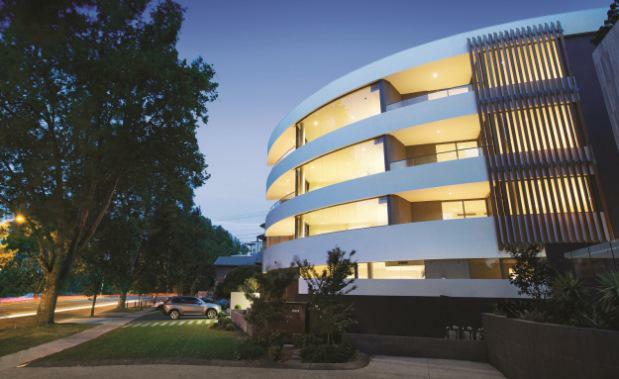 Five of the eight apartments – including the two penthouses - have already been purchased within weeks of launch, proving strong demand for luxury properties along the river-fronting Alexandra Avenue. Featuring just eight opulent two and three bedroom apartments ranging from 136sqm – 193sqm and priced from $1.2m - $1.9m, Lex has been designed with Melbourne’s discerning owner occupiers in mind. Lex has been designed by Rothe Lowman so that each apartment boasts river views, along with expansive balconies and acoustically treated feature windows. Renowned interior designer, Stuart Rattle has created calm, neutral interiors with a luxury appeal. White Carrara marble island benchtops with Gaggenau appliances in the kitchen lead to soft pure wool carpets in the bedrooms and American Oak timer flooring in the living areas, while in the bathrooms the walls are surrounded by warm marble slabs, polished mirrors and designer lighting and finishes. With previous projects including luxury apartments and townhomes in Toorak and Hawthorn, Kokoda Property is a renowned luxury developer with over 18 years of experience.